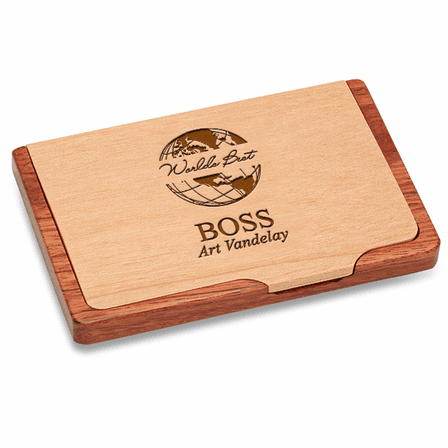 This Boss' recognition gift expresses your appreciation and is versatile for the workplace and travel! 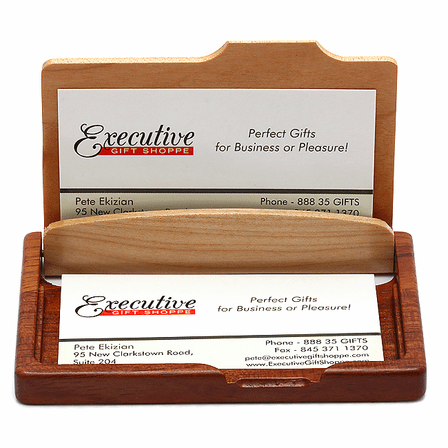 It's a wooden business card holder that holds up to 8 business cards. When open, it stands on a desk, displaying business cards for clients and associates to take. When closed, it fits neatly in a pocket for meetings and travel! 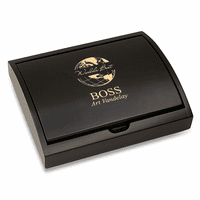 The cover features our laser-engraved World's Best Boss design, with the Boss's name engraved beneath for free. 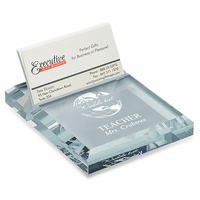 This gift comes packaged in a gift box, ready to present!